2. It’s not that simple. 3. No, it’s not gone. 6. We can stop it. Home The Haze How to stop haze? 1. It’s deadly air pollution. Haze is a type of air pollution composed of fine particles that can cause respiratory or cardiovascular problems. 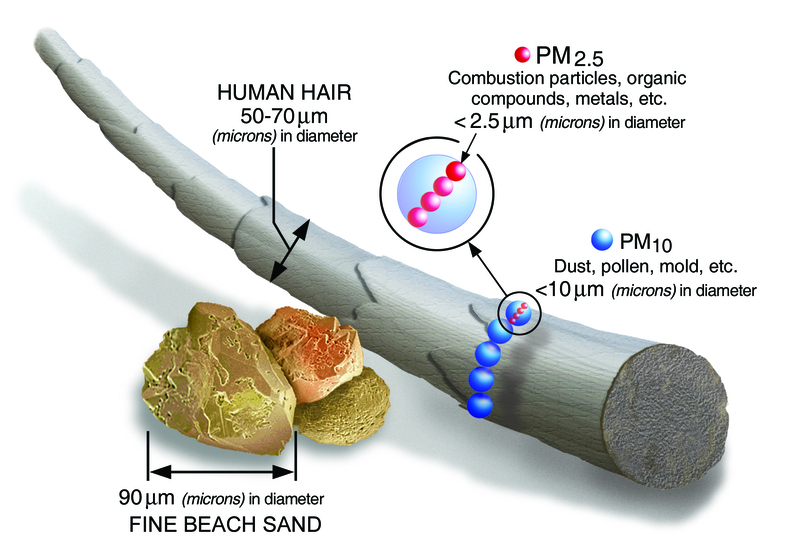 Haze is largely composed of particulate matter, most of it being smaller than 2.5 micrometer in diameter (PM2.5). These particles are so small that they can enter your blood stream. Short-term exposure can cause irritation of the eyes, nose and throat in healthy individuals, while aggravating existing heart or lung conditions. premature deaths were caused by the 2015 haze in Singapore, as estimated by a Harvard and Columbia University study. The estimated premature deaths for the region were over 100, 000.
was the highest concentration of fine particulate matter (PM2.5) recorded in Singapore. 2. It’s more than “who sets fire”. We hear a lot that the haze is caused by big companies who burn the forest to satisfy their greed and all that’s needed to stop the haze is punish them… Well, it’s not that simple. Large-scale fires in Southeast Asia have been around since the 1970s. And you might be surprised to find that catching those who set the fires does not prevent the fires from happening again. The real issue is that vast forests are cleared to make way for plantations to grow palm oil and paper in Indonesia and Malaysia. Drainage of peat swamps create fire-prone landscapes. In order to obtain more land for plantation, companies started to open peatland forests. When peatland is drained, the soil becomes very dry. Fire is therefore easy to start and spread, while much harder to detect and extinguish than normal fires. The uncontrolled expansion of plantations is fuelled by the exponentially growing global demand. The uncontrolled expansion of palm oil and paper plantations, especially in the last two decades, has been a significant cause of haze. This expansion has been fuelled by the exponential growth in global demand for palm oil, which rose from 17.7 million tonnes in 1997 to an astonishing 52.1 million tonnes in 2012. Under current forward projections, demand is expected to further increase to 68 million tonnes by 2020 and 77 million tonnes by 2050. Palm oil is used in 50% of products sold in supermarkets. “Vegetable oil”, “Palm olein”, “Sodium Laureth Sulfate”, “Stearic acid”… Palm oil can be hidden behind many names. It was estimated that half of all packaged items in supermarkets – from biscuits to detergent – contain palm oil. In Singapore, palm oil is the most commonly used cooking oil in eateries. It is also used globally as a biofuel. The absence of haze in 2016 and 2017 is largely due to more rainfall. 2015 was extremely dry due to El Nino effect. Deforestation and peat drainage creates fire-prone landscape. While Indonesia increased firefighting capacity since the 2015 haze, fire risk is still high during dry season and it will keep rising as long as forest keep disappearing and peatland is not protected and managed adequately. Historical El Niño Southern Oscillation (ENSO) episodes - 1995 to 2018. 4. Singapore is addicted to palm oil. Palm oil is widely used as cooking oil among eateries in Singapore. According to the data collected by PM Haze, 60 out of 108 respondent eateries use palm oil in their cooking oil. Another 11 eateries declared using “vegetable oil”, which most likely means palm oil or a blend containing palm oil. Singapore has a major hand in palm oil trade. As a regional commerce and finance hub, some of the largest palm oil growers and traders in the world are headquartered in Singapore. These companies can hold enormous leverage over suppliers who do not comply with best practices. Musim Mas Group PT HQ N.A. Cargill Inc Asia-Pacific hub N.A. Table: Palm oil growers, traders and processors with presence in Singapore. This list may not be exhaustive. Data derived from SGX Listed Companies – Consumer Staples Sector and company websites. Singaporean financial institutions loan money to plantation companies without considerations for environmental and social impact. All three Singaporean banks, OCBC, DBS and UOB, are major financiers of the regional palm oil industry and other industries producing high-risk forest commodities. A study showed that 15 banks, including all 3 Singaporean banks, provided 72% of direct loans to 16 major palm oil companies from 2006 to 2015 (Climate Reaction Research, 2017). Singapore owns sovereign wealth fund GIC and investment company Temasek Holdings. Temasek Holdings is the majority shareholder of Olam, a major palm oil trader (Olam, 2017). GIC also invests in palm oil companies based in Indonesia (Channel NewsAsia, 2016). Top-15 banks providing loans, 2006-2015 Source: Chain Reaction Research. Banks Finance More Palm Oil Than Investors: Investors Face Indirect Exposure. (2017). 5. Boycott is NOT the solution. Palm oil could be the most eco-friendly oil crop in the world! Palm oil is the most productive vegetable oil and switching out means we need to clear more land to grow other type of oil to meet the increasing global demand. The RSPO is the most widely adopted and recognised certification standard for palm oil globally. As of August 2017, 19% of global crude palm oil is certified by RSPO. Criteria include banning the use of fire for land preparation, managing water levels in existing plantations on peat, limiting new developments on peat, banning the clearance of primary forest or areas with High Conservation Value (HCV), and recognising local communities’ land rights based on principles of Free Prior and Informed Consent (FPIC). In Singapore, RSPO-certified cooking oil is already widely available, with at least 3 suppliers which can provide RSPO-certified cooking oil to eateries and 6 brands of retail-size RSPO-certified cooking oil. Therefore, eateries, manufacturers, and retailers in Singapore that use palm oil for cooking oil should switch to RSPO-certified sources. Check our sustainable eateries map! The Singapore government should support the uptake of sustainable palm oil, for example by including in its green procurement policy that palm oil used for cooking oil should be certified sustainable, with RSPO as the current acceptable standard. Check out our Consumer guide and list of eateries for products and restaurants that use sustainable palm oil. When PM Haze started advocating for sustainable palm oil in 2015, there was virtually no sustainable palm oil options in Singapore. Today we have 6 retail brands cooking oil, and 5 eateries using RSPO certified cooking oil. Share about RSPO products, host haze-free dinner parties, join our outreach activities to general public and engage your favorite restaurants! Or voice out to get our financial institutions to adopt responsible lending criterion to palm oil and other industries.